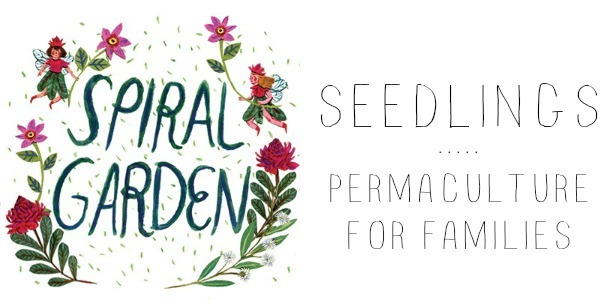 Spiral Garden Seedlings is a fun and immersive program aimed to help families learn about permaculture and build practical skills for living more sustainably. The program uses a wide range of resources and media to explore 12 permaculture principles and 3 permaculture ethics, through family-centred workshops, covering topics such as composting, food forests, renewable energy, nature appreciation, community building and more! Enrolments are open now, giving you lifetime full access to all course materials. Course membership includes access to a private Facebook group and occasional group chat sessions, so you can share your permaculture journey with others – your permaculture community awaits! Hi there. We are home/Unschoolers and I would love to do your Permaculture course with my son. Could you please let me know how I sign up and any costs associated with it? Just click on the shop link at the top right hand corner of any page. When on that page, press the words “click here” and you’ll arrive at our shop where you can purchase the course.